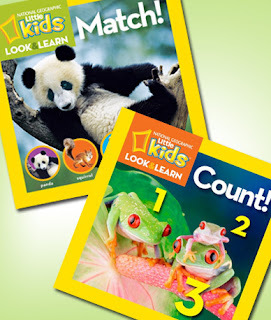 As low as $5.40 for 2 National Geographic Look & Learn Kid's Books + Free Shipping! Today at Mamasource you can get 2 National Geographic Look & Learn books for as low as $5.40 plus get free shipping on them! The book bundle is on sale for $6, but new Mamasource shoppers can use the code mar10 to save 10%, making them only $5.40. Give preschoolers a head start on kindergarten with two books from the National Geographic Look & Learn series. Count! teaches basic numbers and counting skills, while Match! promotes shape, color, and object recognition. Vibrant colors and big, easy-to-read words keep young readers engaged. Perfect for home use, preschools, and pediatricians, these instructional books boost confidence and socialization through knowledge.